This is one of about ten wedge tombs scattered around the Parknabinnia area. As you can see by the images the weather was awful during our visit. We had hoped to visit a few more tombs here, but spent most of our time in the car sheltering from the rain. 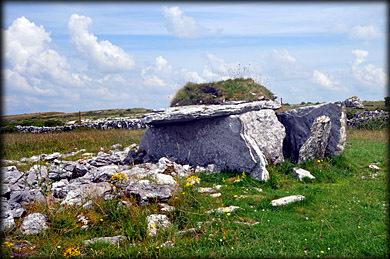 This is a fine example of a Burren type wedge tomb. 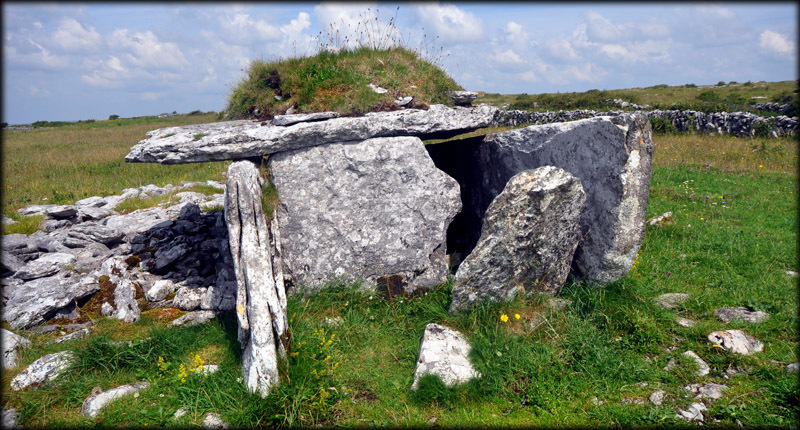 The 3 metre long chamber consists of two side stones, a back stone, a large 3.2 X 2 metre roof slab and two stones placed side by side at the front. 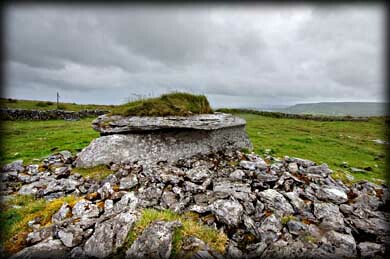 It also bears some cairn remnant on the roof-stone also typical of many burren tombs. Discovery Map 51: R 643 9354. Last visit May 2009.